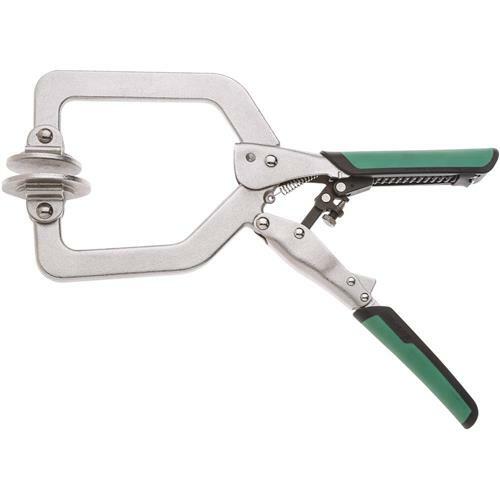 Face Clamps feature technology that enables the jaws to automatically adjust to and grip different size objects quickly without manually fine tuning the adjustment. Set the desired clamping pressure, and the jaws apply that pressure to the different sizes of material. No continuous adjustment needed. Unprecedented convenience. Soft Grip with removable pad for comfort and ease of use. The circular face spreads force evenly preventing material marring. 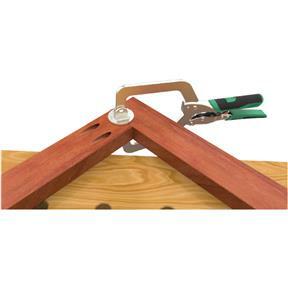 Auto Adjust Face Clamps offer fast clamping. Clamping force 25-400 lb.